The 124 foot Impulsive is a new addition that is now available for charter in Miami. 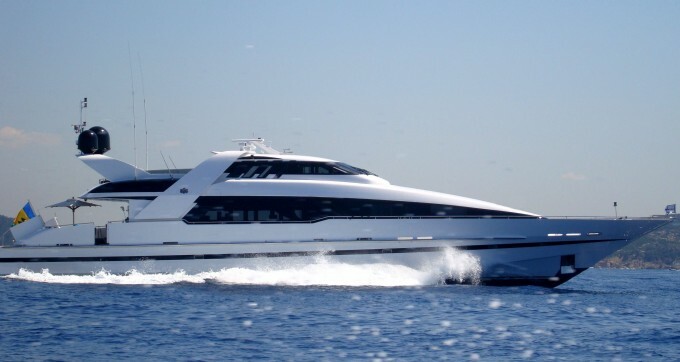 This luxuriously crafted Italian motor yacht accommodates 12 passengers by day and 8 guests overnight. She offers an expansive amount of space that includes a state-of-the-art entertainment system throughout, a sun deck complete with wet bar, sun lounges for two, plenty of seating and a full al fresco dining area. 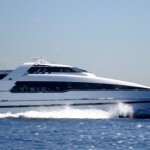 Learn more about this boat rental below or check out our other Miami Yacht Charters. The galley is fully equipped with a stove, microwave, refrigerator, coffee machine and a breakfast area. There are three luxurious cabins on board, the master stateroom has a king sized bed with plenty of storage space, a sitting area and a large ensuite featuring a Jacuzzi tub. The VIP room has a queen bed with an ensuite bathroom with ivory marble. The guest room has a queen bed and ensuite head with shower. The forth cabin was converted into the dining area. All cabins feature a Plasma TV/ Bose DVD and Stereo.